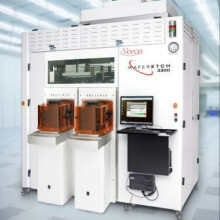 The demand and market size for RF devices is increasing—and Veeco drives efficient, high-volume production of compound semiconductor epi-wafers. Automated process equipment for Precision Surface Processing and MBE brings ultra-precision technology to expanding applications in the RF market. Veeco's experience in building systems for materials research has brought innovation and low cost of ownership to production-scale compound semiconductor manufacturing. 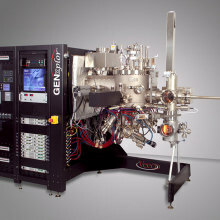 Automated systems and a wide variety of evaporation sources enable traditional III-V and II-VI growth, in addition to new materials for emerging technologies in RF networks and optoelectronics. Production performance also starts in our in-house Process Integration Center, where we provide expertise to help solve the challenges of scaling processes from research to production systems for emerging materials and applications. As the world's leading supplier of MBE and wet etch systems and components, Veeco is ready to help produce the materials, processes and devices of tomorrow today.